Over 40 years to reach this milestone! 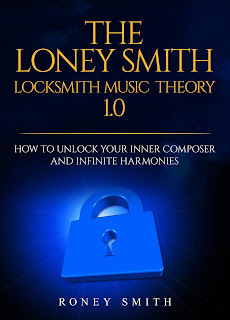 The Loney Smith Locksmith Music Theory is not only a course but an approach and mindset to learning, discovering, and applying a straightforward formula along with simple math how to create the powerful chord progressions and harmonies that fully suit your music to your tastes! You can expect to be able to create new harmonies for existing songs and find the special chords and tones to get the job done within any of your creations! You will be able to easily teach anyone who can count how to apply simple math to find the chords to fit any type of song and genre desired. You can compose and play anything at will and be able to find a chord and chord progression that truly releases your inner genius! Check out our May celebrations, anniversaries, birthdays and other special events on Instagram and we are having special pricing each week within the month of May!